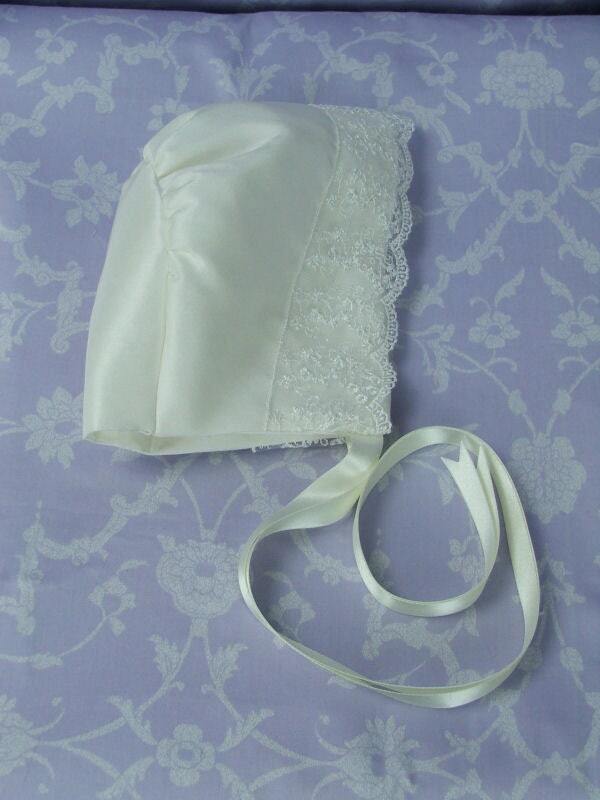 This pretty little ivory silk bonnet matches any of our gowns with lace as an element of the design. 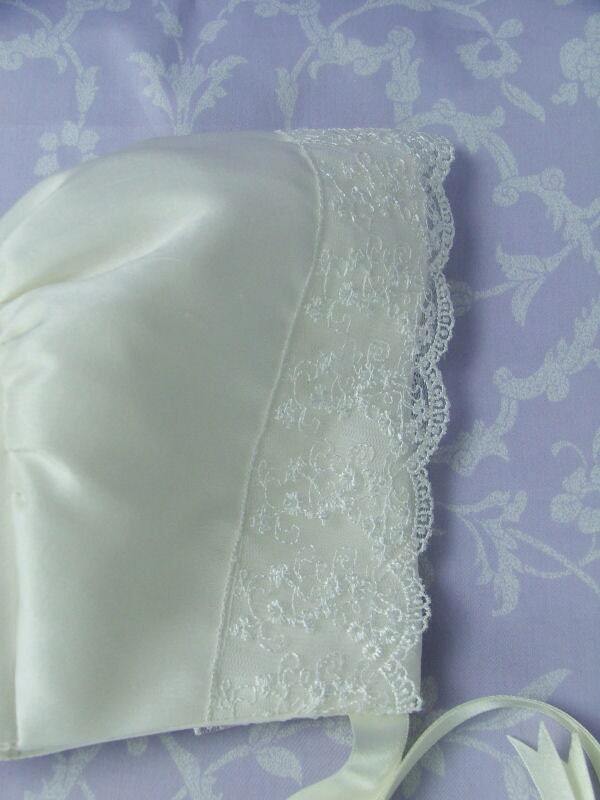 The 3 inch lace runs along the front edge of the bonnet and in part extends over the edge to peep beyond the bonnet. 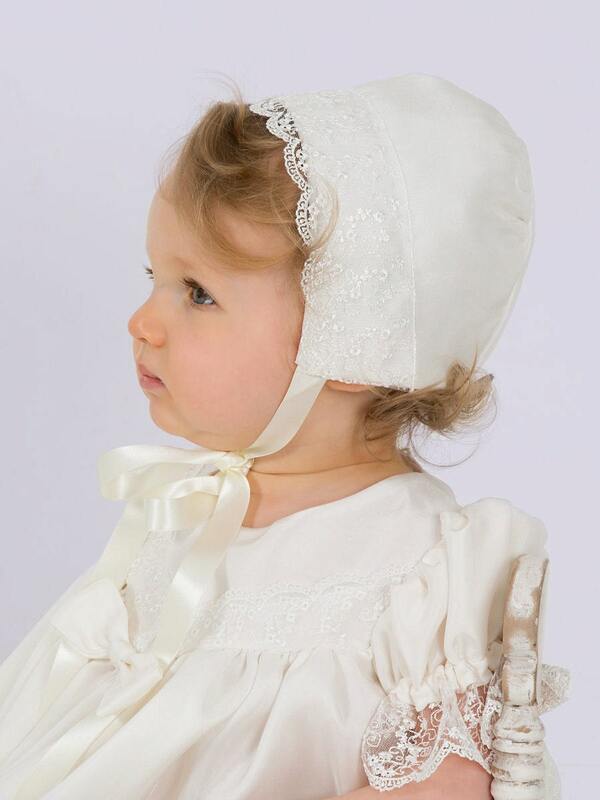 Specifically matches both Grace and Sophie and matches the narrower lace on Elizabeth.